The Internet has removed many constraints brought by geographical distance to networking. A number of studies show that distance still matters in forming collaborations particularly in scientific communities. In this study, the proximity between researchers and networking venues was analyzed using data available on Twitter as a network of researchers, and on Nature's online events directory as a sample set of networking venues. Results show that the United States of America and United Kingdom were the two most frequent researcher home locations and networking venues. It was also determined that a researcher would only have to travel within the region to reach a nearby networking venue. M. L. Menorca and M. Lim. 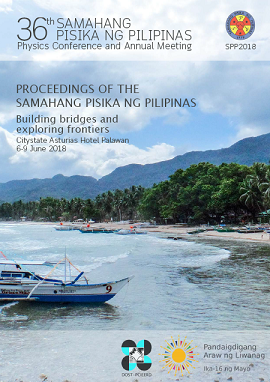 Proximity analysis between researchers and networking venues, Proceedings of the Samahang Pisika ng Pilipinas 36, SPP-2018-PC-31 (2018). URL: https://paperview.spp-online.org/proceedings/article/view/SPP-2018-PC-31.